Cars of U.S. Military Rail Road and a bridge built by soldiers on the Orange and Alexandria Rail Road. 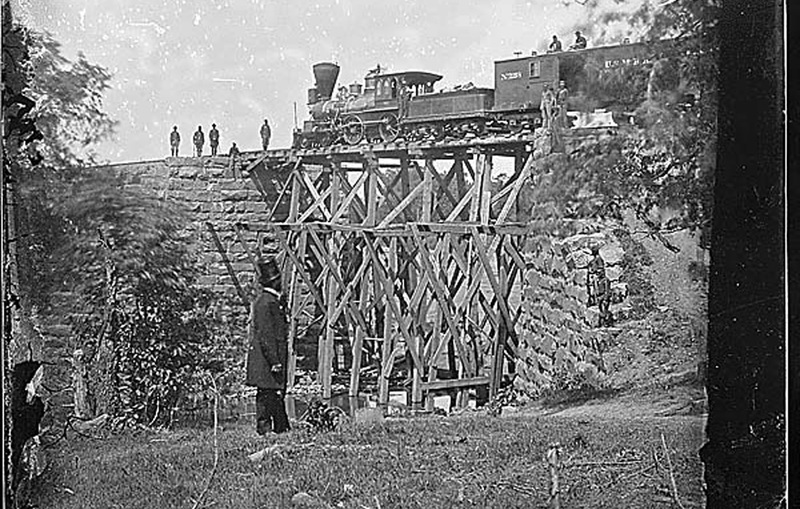 Source: Cars of U.S. Military Rail Road, and bridge built by soldiers. Publisher: Item from Record Group 111: Records of the Office of the Chief Signal Officer, 1860 - 1982. ARC Identifier 524604.